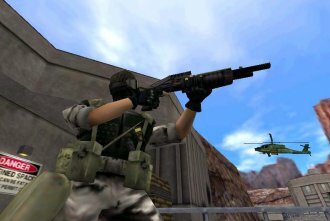 Can an all time best selling game be successfully converted to the PS2 from the PC? Can the same game be improved upon. Yes and yes are the answers when looking at Half-Life, now available on PS2! 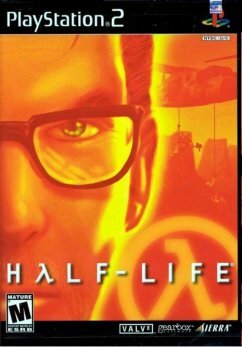 Converted by Gearbox, Half-Life is the story of scientist Gordon Freeman and his adventures in his workplace in the Black Mesa compound that occur when things go terribly wrong during an experiment. Quite admirably holding it's head up high as the first intelligent first person shooter, Half-Life revolutionised the way gamers saw games as an interactive experience. Converted to PS2 by Gearbox, Half-Life has been revamped to suit the power of Playstation 2 and looks much nicer for the update. It appears that all textures have been redone and unless I am incorrect so have the animations of the non player characters. It is also quite obvious that the polygon count in all models has risen dramatically giving us a much prettier game than PC Gamers were presented several years ago. Gearbox have also made this first person shooter friendly for us dual shock 2 users. An auto lock feature enables you to target enemies as you rush around the levels. They also haven't forgotten those who might have made the leap from the PC by enabling the use of mouse and keyboard! There are a number of multiplayer options including your run of the mill deathmatch and the brilliant Decay mode which enables you and a friend to complete missions together. This feature is not available on PC and is absolutely brilliant. You can play it single player or with your buddy. Last but not least don't pass up the opportunity to play as the Alien Slave!!! How do you get to do this? Well, that would be telling now wouldn't it. Just buy this game and play it till your hands hurt!